The F. W. and Elsie L. Heyl Science Scholarship Fund was established through the will of Dr. and Mrs. Frederick W. Heyl. A Yale graduate, F. W. Heyl joined the Upjohn Company in 1913. 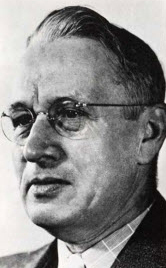 He later became a vice president and the first Director of Research for the company and also taught at Kalamazoo College. Dr. Heyl maintained a lifelong conviction in the importance of science and education. Because of this, he was awarded an honorary Doctor of Science degree by Kalamazoo College in 1937. The first Heyl Scholarships were awarded in 1971 and until 2009, were available only to graduates of Kalamazoo Central or Loy Norrix High Schools. In March 2009, eligibility was expanded to include 2009 or later graduates of other high schools or home school programs who hold certificates of completion from the Kalamazoo Area Math and Science Center. Scholarships, renewable for a maximum of four years, for tuition, fees, college housing and a book allowance are available for study in the natural sciences, mathematics or computer science at Kalamazoo College and for nursing at Western Michigan University Bronson School of Nursing. The Heyl Science Scholarship Fund also provides fellowships (renewable for a maximum of four years) for graduate study in certain (usually chemistry-related) disciplines at Yale University. These are available to any graduate of Kalamazoo College majoring in one of the exact sciences. 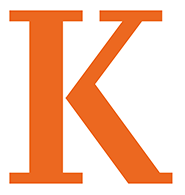 The annual information session for high school seniors and their parents is Monday, October 22, 2018 at 6 pm in the Dow Science Center, Lecture Hall room 226 at Kalamazoo College. All prospective applicants and their parents are encouraged to attend.